Galicia is known for its “fiestas” and one that might be of interest to nature lovers is the “Fiesta de la Trucha” that is celebrated in the village of A Pontenova each year. 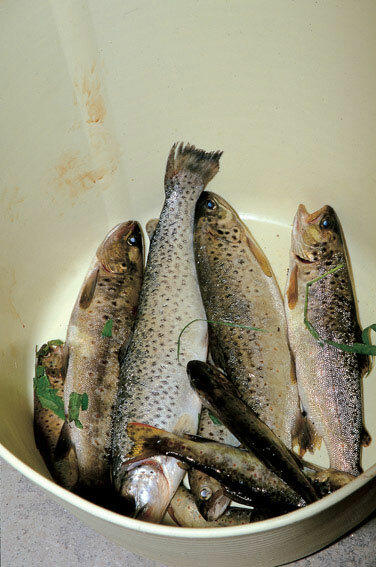 This fiesta is celebrated May 1st, each year and is a culinary feast for those that like trout. The locals put together a traditional market, selling their local products but what is on the menu is trout, prepared local style! A Pontenova is located in the province of Lugo, about an hours drive north of the town of Lugo, towards Ribadeo.